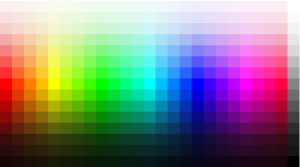 Color Codes | URimagination, Inc.
To quickly start using HTML colors in you website take a look at How to use HTML color codes?. If you wish to learn what this combination of characters in HTML Color Codes actually means than take a look at section HTML Color Codes Theory. With this dynamic HTML color chart you can get HTML codes for basic colors. Using the correct website color can be of the utmost importance to attract the preferred audience to a website. There is a reason that most poker rooms on the internet uses the basic poker table color of green (#088A4B). Black and Red are also popular colors. Black has a classic quality feel to it and Red is the color of courage and aggressiveness, which are very important qualities of a good poker player. How to use HTML color codes? With HTML color codes you can set the color of web site background, color of text, cells in tables and much more.